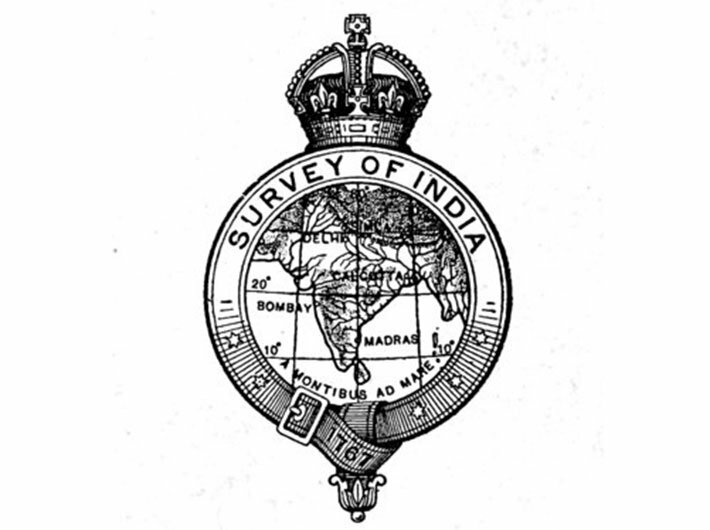 This is the 250th year since the inception of the Survey of India that has been mapping the boundaries since 1767. Archana Mishra spoke to Dr Swarna Subba Rao, former surveyor general of India, who retired in June this year. He joined the department as a deputy superintending surveyor in 1983 and served SOI for 34 years. He shared his thoughts on how mapping has changed from manual to digital, SOI’s role in handling border disputes and other challenges. How has SOI evolved over the years? When SOI was started, the intention was to map the country. Until Independence, SOI helped in expanding the British territory. It worked like a military arm of the regime. Even at that time, SOI did very well. If you see one particular exercise done by SOI is the Great Trigonometrical Survey, which was the first survey to measure India. Even today it is rated as one of the greatest feats of mankind. It was an achievement despite lack of technology and with so many other challenges. Now, coming to the post-independence period, after which the role of SOI dramatically changed. From being a military arm, it has now become a government arm which is supposed to help the government in development activities. By that time some technology was available and we adopted that very well. In 1960s, we adopted a technology of developing a map using aerial photographs. If you look at analogue photogrammetry, the SOI excelled in that. We were so good in that we did entire mapping of the country through this method, very accurately. I would say it was a landmark achievement. After that, we entered the digital era, since 90s. Computer encroached upon the space of mapping. We completed the digitalisation of all the maps by 2005. Beyond this, due to the versatility of computer maps, another technology called GIS came into picture. We now produce all our products that are GIS compatible. In 2008, we completed the revision of all maps. SOI is realigning to the market and country needs. What is the role of SOI in handling boundary disputes with neighbouring countries? SOI has the responsibility of maintaining international planned boundary and coasts. Our job is to ensure pillars demarcating boundaries are intact and placed accurately as decided by both the countries. Between India and Myanmar, boundaries are marked with pillars except at a few spots. Cement concrete pillars are there on the ground. We paint and mark them and give them numbers. We facilitate the agencies like Border Security Force in identifying the border properly. It is done once and not every day. Whenever there is dispute we step in and carry out a joint survey with the other country and report the facts, saying XYZ from India or other country has violated the boundary. We don’t carry guns. In case of Bangladesh and Myanmar, and Pakistan to some extent, people living near the boundary have relatives and friends living on the other side. It is worst in Bangladesh and Myanmar. Bangladeshis cultivate fields in India and Indians cultivate field in Bangladesh. We cannot prevent that. Sometimes forces get alarmed at border then it becomes an issue. My team goes there for the survey to see the reality and then we respond to the respective government. Boundaries are decided at the top level of the leadership. Then it comes to us as survey agencies and we put markers on the ground. Until then we have no role to play. Once the markers are put, it is decided. Then we do survey in case of violation. When some kind of agreement is reached between the two nations then we step in. Maps are then ratified by certain level of agencies and officers. We then finally put markers. What happens when there is disagreement between two nations on boundary? Those areas are left open. There are many such open areas. With China and Pakistan, some areas are open. At this stage, we cannot do anything. Is SOI’s role restricted only to defence mapping? Is it associated with any development activities? Maps are required to implement big projects like lying of power line or railway line. SOI works in pro-active manner. We produce map in such a way it could be used for any road or railway project. We made our product in 1:50,000 scale. We don’t wait for the demand. There are committees including people from different government departments, who decide on the requirement of a map with a particular scale. SOI’s job is to take these features, prepare a common data base and then produce a product so that everybody makes use of it. We cannot make separate maps for everyone. This style of working evolved five to six years after independence. It gained momentum when we started with five years plan. How frequently SOI does revise its maps? In the past, it took 20-25 years to do one set of mapping. Then we planned the revision. It is called mapping cycle. Now with technology, we are trying to bring it down to a demand based system. We don’t propose to revise the map continuously because there are other works. We finished revisions in 2012. Further revisions are being done in case of particular demand by a ministry. There is a proposal to map the country on 1: 10000 scale. Once we finish it, this map will be versatile, and there will be more demand for those maps. What technology is SOI using for mapping? The rudimentary method is to take a white sheet and draw a map. We don’t do that. But you get a satellite image of a particular area which gives you the details of that area. All we do is pick up specific features like road, railways, houses or water bodies. Only thing you have to do is place them correctly. Even satellite imagery has some errors or image may be slightly disturbed. Satellite imagery fails in hilly areas. It doesn’t measure height. In that case we go for a different technology, which are appropriate like aerial photography. In 1980s satellite imagery was with poor resolution. It was possible to recognise object at 30 metres, now it is possible to recognise at 10 cm. In past two to three years, drones have become popular. We are adopting that, but drones have certain limitations. Even with the advent of technology, is accurate mapping possible without doing things manually? Whatever we do, we can’t avoid going to the field. Producing a map of 10 square km area requires verification. Today, I am in a position to make a map sitting in the office through satellite imagery, but as a policy SOI will not release or deliver a map before the map is checked via field trip. How is National Map Policy helpful? The government maintains a balance between security and development through National Map Policy. There are various agencies that contribute to that. There is SOI, ministry of defence and ministry of home affairs. Sometimes even local government participates. Like there are certain military establishments in the country which are not shown on the map. Committee decides what all has to be shown on the map and we prepare it accordingly. There are various methods through which certain things are hidden to the public. Isn’t it slightly outdated when everything is easily available on internet? The government has to strike a balance. It is a tightrope walk between the development and the security. It is the government at the highest level which has to act. Does SOI provide mapping assistance to private players? Yes, private companies buy maps from us. What are the current projects being handled by SOI? We are running a project for ministry of forest and environment, known as Integrated Coastal Zone Management Project. Indian coast is subjected to lot of actions, stress and strain. There are both external and internal forces like development work, man-made activities and cyclones. Ministry wants to know the extent of disturbances. They wanted SOI to map the entire Indian coast. It was given to us 2011. We are on the verge of finishing it in a way it is suitable for environment ministry. On the basis of that the ministry will formulate regulations. We are also finishing a project for Centre for mine planning and design institute, Ranchi. They wanted us to map all coal fields of India. To know the exact volume of coal, you need to have accurate map of that area. In December, we will complete it. Recently, we got a National Hydrology Project 3, mapping all rivers of country for ministry of water resources. Ganga River is not included.